Are You Screening Podcast - A Quiet Place & Rampage Reviews - Are You Screening? This week brings us two polar opposites in terms of genre (and I suppose volume), and while the hype may have gone in different directions, we had a good time with both of these. And, we didn’t have such a great time with either of them. A Quiet Place has instantly rocketed its star into a new world of directing possibilities, including a sequel, and Rampage has… not had a very positive reception. 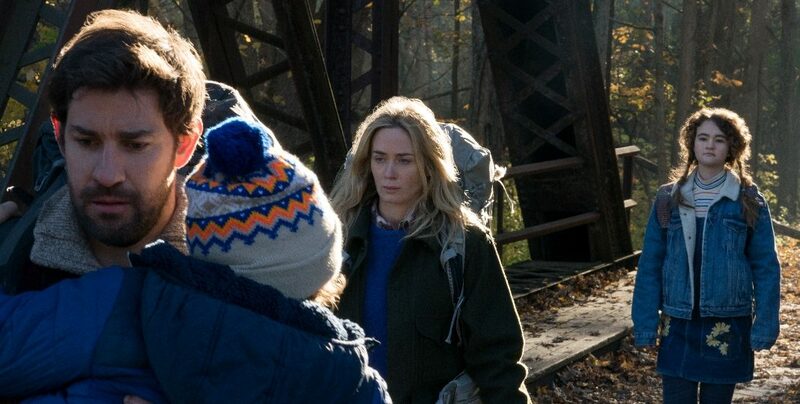 Even if you don’t end up loving A Quiet Place, the attention it has received and the adeptness with which much of it is filmed are going to get Krasinski a lot of work for a long time to come. On the other hand, Rampage, which is a kind of “Saturday Morning Cartoon” goofy, will have people questioning Dwayne Johnson‘s choices, especially when put together with the upcoming Skyscraper. Sure, he’s got no shortage of work and commands a hefty price tag at this point, but what the hell is he doing? Well, it isn’t all bad, and Rampage perhaps becomes a test case for playing along with wild, action nonsense, but he’s got to be getting better offers. That’s especially true when you consider that the film is almost perfectly designed to avoid any staying power. We’ll let you know what we think, and you’re probably going to be surprised.